The Ascendant (AC) is in constellation Hercules making her strong and tenacious. Jupiter trine the AC brings her good luck and increases her strength and tenacity. 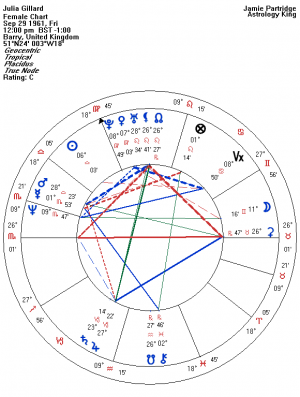 Mercury conjunct Mars shows up with her quick wit and skill as a debater. She can cut her political opponents into pieces with her words. Mercury sextile Uranus add more spark to the keen intellect, and it makes her open minded. Uranus does rule the left side of politics so it is natural she come from a trade union background. Mars sextile Uranus means she is not afraid to break new ground and take some risks. This aspect also makes her a fiery character with unusual sexual charisma. Source for Julia Gillard Horoscope: “Australian Astrologer Jill Amery knew someone who knows Julia’s parents. 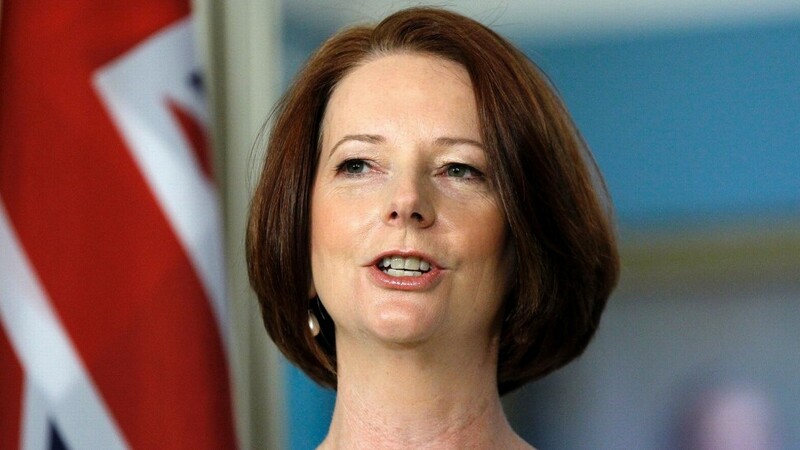 When asked the time of her birth Julia’s mother said 12.00 noon.” Julia Eileen Gillard Prime Minister of Australia 24th June 2010, Alice Portman. Why believe NSW coalition health plan works just by add a few dollars in hospital without innovative ideas? Just listen how Barry O’Farrell convincing voters: “The key to our program is giving medical professionals a bigger say in how health services are delivered in their area. These are the people who know what their patients need…so we will be listening to them”. Where the Preventive Health program under coalition government’s 8 years health plan is proved that a political mouth show in which spent millions dollar only produced a book for sale, people who have to pay for reading, but not benefit taking. Will you then still believe Mr Barry O’Farrell’s coalition opposition is committed to health reform (put some money in some hospital if you liked)? Then call it rebuild the hospital system through Better Hospitals and Healthcare program? The coalition put it up simply as a truly health reform that would fix NSW health problems? Why the most Politicians do fail their own test in spend little brain work to come up some innovative idea that truly achieve the health reform materialized that benefits to all voters? will julia gillard stay as prime minister for the whole term? She has difficult transits coming up especially in December 2011, Pluto square Sun and Saturn square Jupiter. But she has survived the first two Pluto Sun squares in February and June 2011. If she gets through December without being rolled she should make it to the next election. So what’s your prediction for the despised Julia Gillard now that the knives are out? Interested to hear your comments please. December 28 lunar eclipse trine her Sun. 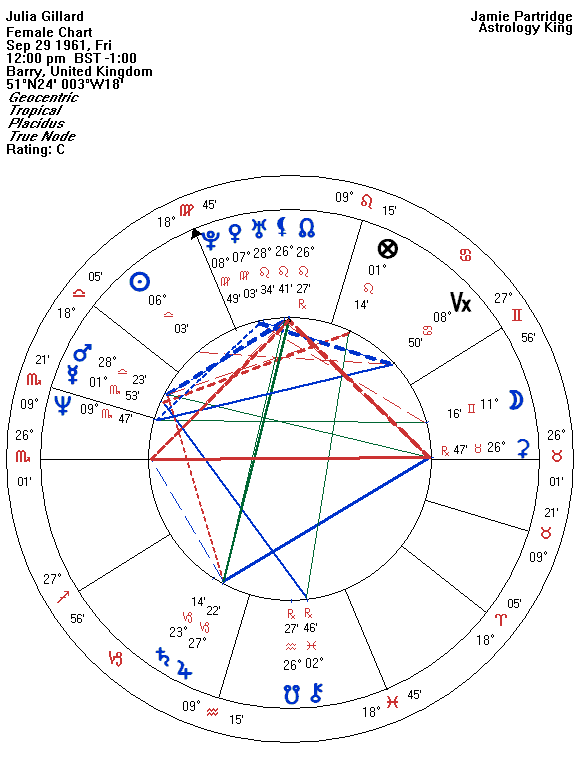 Transiting Pluto trine her Venus Pluto conjunction all next year. She should lead her party to the next election.